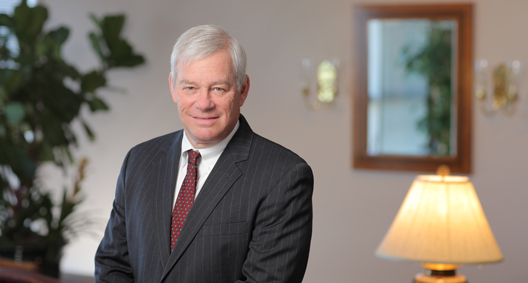 Mike Levin is a trial lawyer with experience as lead counsel in more than 60 trials and arbitrations. His broad commercial litigation practice involves all forms of business disputes, with an emphasis on real estate and intellectual property matters. He frequently represents clients in the aerospace, manufacturing, real estate development, and healthcare industries, and also has substantial experience representing attorneys and accountants in professional liability matters and in partnership disputes. In addition, Mike maintains an appellate practice, with appearances in more than 75 appeals in all Florida appellate courts, the Ninth and Eleventh federal circuits, and in appellate courts in several other states. Represented a client in complex litigation involving disputes relating to several different real estate transactions that were resolved after receiving favorable legal rulings. Hi-Acres v. Hiresh, Case No. 04-CA-7163 in the Circuit Court of the Ninth Judicial Circuit, in and for Orange County, Florida. Represented the space shuttle's prime contractor in the resolution of a construction dispute related to renovation of the Vehicle Assembly Building doors at Cape Canaveral. United Space Alliance v. Reynolds, Smith & Hills, Case No. 05-2007-CA-16477 in the Circuit Court for the Eighteenth Judicial Circuit, in and for Brevard County, Florida. Represented the owner of multiple fixed-base operators (FBO) in the resolution of a dispute with the city of Kansas City, Missouri, relating to the downtown airport. 193 BakerHostetler Attorneys Named in 2019 Best Lawyers List; 10 Recognized "Lawyer of the Year"
190 BakerHostetler Attorneys Named in 2018 Best Lawyers List; 18 Recognized "Lawyer of the Year"